There are several data objects available through the Disqus API that contain related information about each. Most API calls will return one or more of these objects in a single response. Actual data might vary depending on the endpoint and authentication level, so see our API documentation to find out which individual calls return what. Tip: Many API calls allow you to add/expand objects by using a 'related' argument so you can get all necessary data in a single response. Topics are like categories, which contains different forums and threads. A forum contains all of a website's comments, threads and settings. 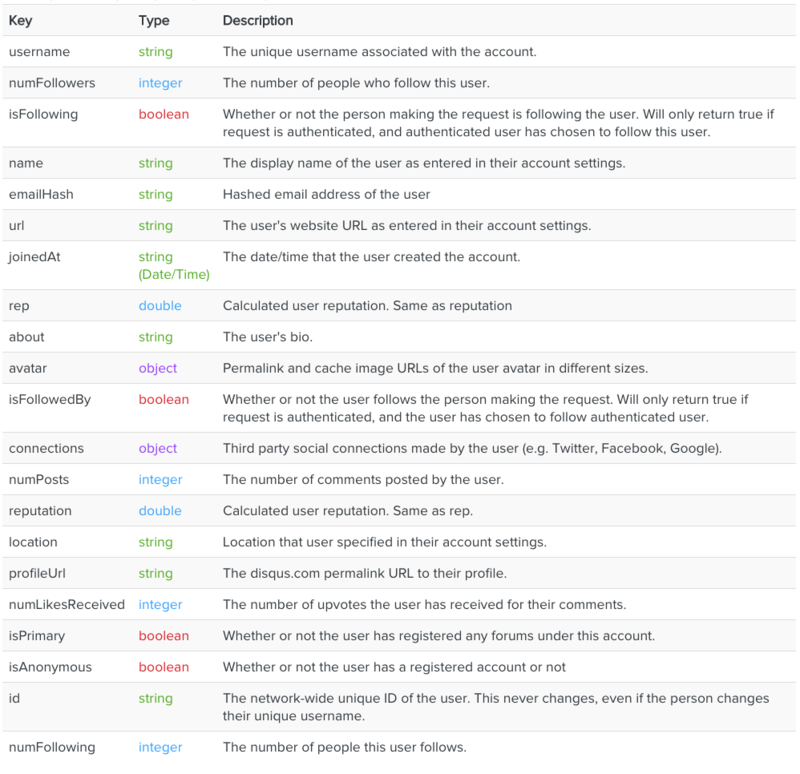 This is the highest level which data is grouped on the Disqus network. Categories exist for grouping threads within a forum. These are currently only used in conjunction with the API. Read more about categories here. 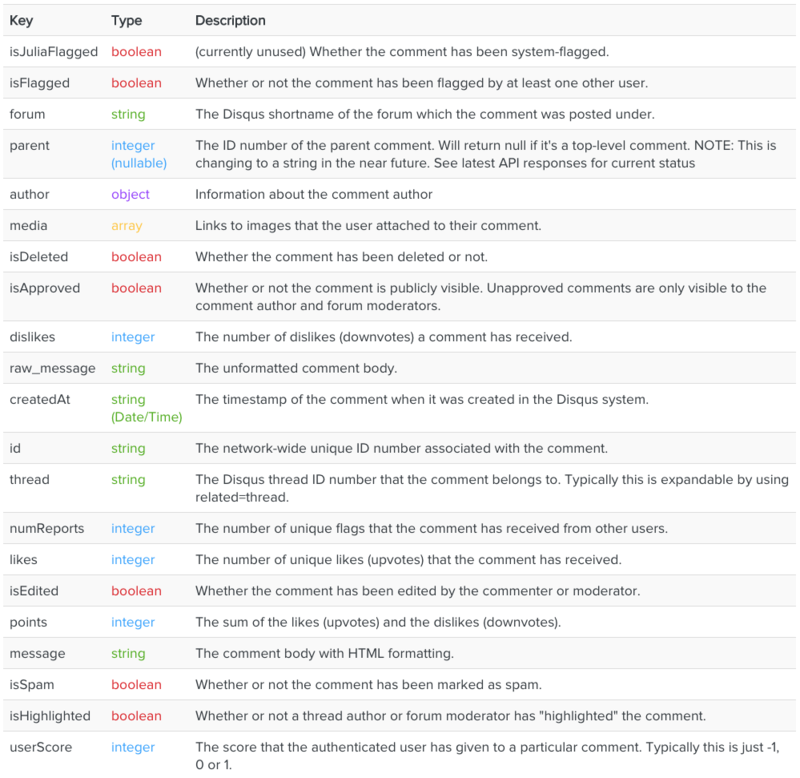 Threads are core discussions on the Disqus network which are represented by the standard Disqus embed. 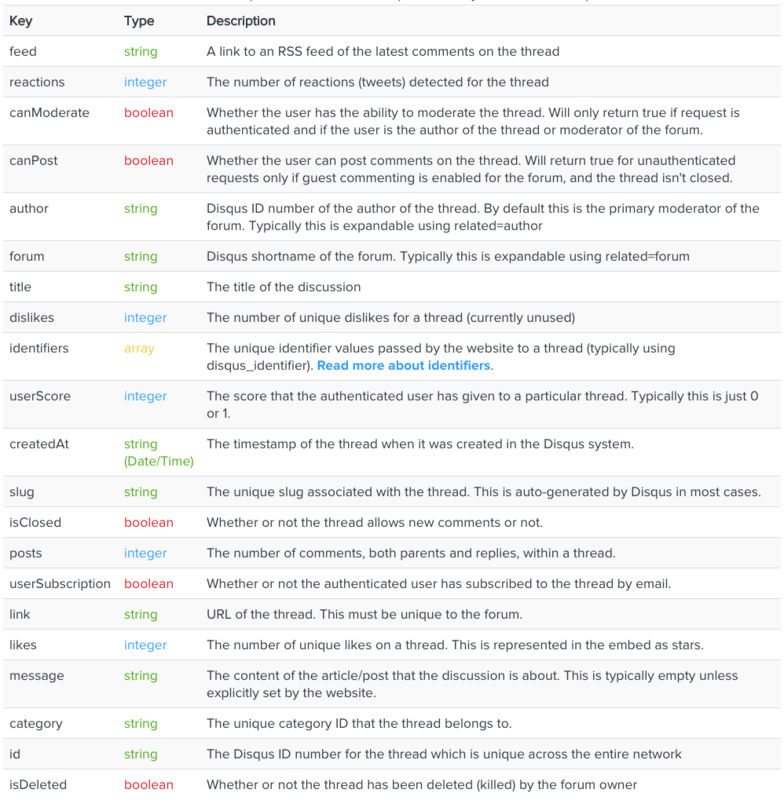 A user on Disqus, who can have several relationships to other data types such as other users (following), threads (authorship), forums (moderator), and posts (commenter).